The Social Security Agency of South Africa briefed the Committee on progress made on the implementation of the Constitutional Court order on the grant payment system and on progress made on the universalisation of retirement and social security reforms. The Department of Social Development (DSD) indicated that SASSA will not be able to present its progress report, but will do so in writing and send it to the Committee. The Constitutional Court communicated to the Agency two days ago on the 10 names shortlisted for the panel of experts/monitors. The team was meeting today for the first time in Johannesburg and SASSA had to present before it. The Agency was overwhelmed with work as it must submit the first report to the Court on the 15 June since the deadline (17 June) was a weekend. The Committee voiced its concern with this decision and reminded SASSA of the resolution that stated that the SASSA progress report was a standing item that must be presented at every of its meetings with the Committee. The meeting was then adjourned for few minutes and SASSA eventually presented the progress report. Government to government collaboration which started with the engagement with the South African Post Office (SAPO). On the additional steps taken by SASSA to comply with the Constitutional Court order, proposals and plan going forward was presented to the Inter-Ministerial Committee which is chaired by the President. Comments from the Inter-Ministerial Committee have been incorporated in the first report to be submitted to the Constitutional Court on 15 June. Members wanted to know who the chairperson of the panel of experts was, what bank will be used to open the corporate account and what the issue was around the expiration of the SASSA card. Overall Members were satisfied with the report and said that while Members must be aware of separation of powers or sub judice matters, the Committee must be made aware of any comments made by the Court in the report. Members also commended the involvement of the South African Post Office (SAPO) and said the court judgment was not meant to punish anyone but to make sure that government do the right thing. The experts are not replacing the Committee in its role because in due course they will be invited to the Committee to make a presentation on their work. The Chairperson stopped the presentation and said it was very extensive research that covered several things. It has been presented to the multi-stakeholder set up at the National Economic Development and Labour Council (NEDLAC). It was unfortunate that the Committee was not part of that nor did the Department take the Committee through its own process to be at the same level with other stakeholders. She proposed a workshop to enable Members to engage and understand the presentation clearly. Members agreed and the presentation was postponed until after the workshop. The Chairperson welcomed members of the Committee and said the Committee received apologies Ms Bathabile Dlamini, the Minister of Social Development and Ms Henrietta Bogopane-Zulu, the Deputy Minister of Social Development. Ms Nelisiwe Vilakazi, the Acting Director-General, DSD, thanked the Committee for the invitation and said SASSA will not be able to present its progress report but will do so in writing and send it to the Committee. The Constitutional Court communicated to the Agency two days ago on the 10 names shortlisted for the panel of experts/monitors. The team was meeting today for the first time in Johannesburg and SASSA had to present before it. The Agency was overwhelmed with work as it must submit the first report to the Court on the 15 June since the deadline (17 June) was a weekend. 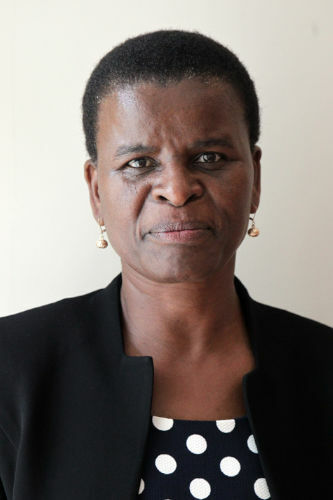 Ms B Masango (DA) said the CEO of SASSA had assured the Committee that it would have the first bite of the report before it would be submitted to the Court. However, this statement showed that the report will not reach the Committee before its submission. The Chairperson agreed with her and called upon the Committee Secretary to read the resolution on SASSA. The Committee Secretary read out the Committee’s resolution which stated that the SASSA progress report was a standing item that must be presented at every of its meetings with the Committee. Ms S Tsoleli (ANC) said what was happening now was surprising and unacceptable. Ms Masango further stated that no report was submitted last week and nothing again this week. That was two weeks of no report from SASSA. Ms C Madlopha (ANC) said the agency must send the report to the Committee Secretary. If the report was to be sent on the 15th, it meant it must have been prepared a few days ago. The Committee must play its oversight role. Ms E Wilson (DA) asked whether the Minister who was outside the country had seen the report or will see the report before it will be submitted. The meeting was adjourned for few minutes for the Agency to come up with a solution to the concerns raised. On resumption, the Committee agreed to proceed with the agenda while the Agency got the report. Ms De Kock (DA) said that the presentation before the Committee was irritating and superficial since it did not deal with the most important issues which was costing and how it will be funded. Almost all the Members of the Committee knew about the universalisation of child and old age grants and most important was the cost implications. The Chairperson stepped in to say that the presentation has not yet been presented. After the presentation, Members will have opportunity to ask their questions. Ms Vilakazi said that as part of the government outcome, the comprehensive social security is part of outcome 13 (4) that need to be considered. Ms Brenda Sibeko, Acting Deputy Director-General: Comprehensive Social Security, DSD, said the process of developing and coming to the finalisation of comprehensive social grants has taken a long time. One of the reasons for this delay relates to the distance that has been travelled and yet to be travelled. Ms Tsoleli said that the historical background of the issue was missing. Some Members may not be privy to the Taylor Commission since it was not even in the document being presented. She agreed with the proposed workshop to help Members understand and better engage with the document. Ms Madlopha said that the Taylor Commission funding and recommendation was not known to her. She therefore supported the proposal for workshop. The Chairperson said the presentation was a huge debate that affected everybody. Ms Masango asks if the proposal for workshop means that the presentation is halted. Mr S Mabilo (ANC) agreed with the proposal for a workshop. He asked why the Nordic countries are not presented in the document. The Chairperson said the workshop will involve other departments and the Taylor Commission itself will be invited. The presentation was adjourned until after the workshop. Ms De Kock said that the implementation of social security should be included in the next presentation. The experts will be working with the Auditor-General. The inaugural meeting of the panel of experts was scheduled for 14 June 2017 and SASSA staffwill be there to brief the panel on the strategy. The costing and how reports will be submitted will be dealt with in the meeting. The Agency will also engage with Home Affairs for identity and information confirmation and verification of biometric data. Other government departments are National Treasury (for financing and costing), State Security Agency (SSA) and Small Business Development (for stimulation of local economy development through social grants). So far on procurement of service provider, the Agency had analysed the request for information (RFI) outcomes and this was being used to inform the specification for the current underdevelopment. The bid specification committee had already been appointed. They are drafting the terms of reference and had been given a deadline of 23 June to complete it. The bid adjudication committee will consider the terms of reference for advertising in July. The service provider will be on board within the timeframe of November which had already been announced by the Minister. The Chairperson said that some committees cannot take over the function of this Committee which was established in terms of the Constitutional Court. The court judgement has been accepted wholly by the Department and further amendments were made in the Annual performance Plan (APP) to make sure that the Portfolio Committee was able to play its oversight role. If those matters were not in the APP they would not have been accommodated in the SASSA budget. Ms Madlopha asked who the chairperson of the panel of experts was and she commented that it was good to hear that most of the systems will be in-house. Ms Abrahams asked at hat bank the corporate account will be opened. What is the issue around the expiration of SASSA card? What is the communication chain around that? Mr Mabilo appreciated the work done by the Agency. The Committee will continue to play its oversight role. The appointed experts are very encouraging. It was a step in the right direction to involve SAPO because it has been in the business of grant payments. Ms Tsoleli welcomed the presentation and said even though there was no specific timeframe in the presentation; it has been presented to be completed by the end of the financial year. Members must be aware of separation of powers or sub judice matters. However, the Committee must be made aware of any comments made by the Court in the report. The Chairperson said it was good to hear that the report will be filed three days earlier and that the Minister complied and that the report will be filed. The court judgment was not meant to punish anyone but to make sure that government do the right thing. The experts are not replacing the Committee in its role because in due course they will be invited to the Committee to make a presentation on their work. On another note, she mentioned that during the Committee’s oversight visit to Harrismith it came across a project that has also been visited by the NCOP and some work was now done because of the NCOP visit. The Committee identified a bakery issue which was not functioning properly. It was enough for the Minister’s discretionary fund to consider it, because it was less than R50 000. Ms Dunkerley replied that no bank has been identified yet. Due process will however be followed for procurement. On the expiration of the SASSA card, she said the card will continue to function and any changes will be communicated by SASSA to the beneficiaries. The information on social media platforms was inaccurate. The Chairperson suggested that communication be made at pay point sites.